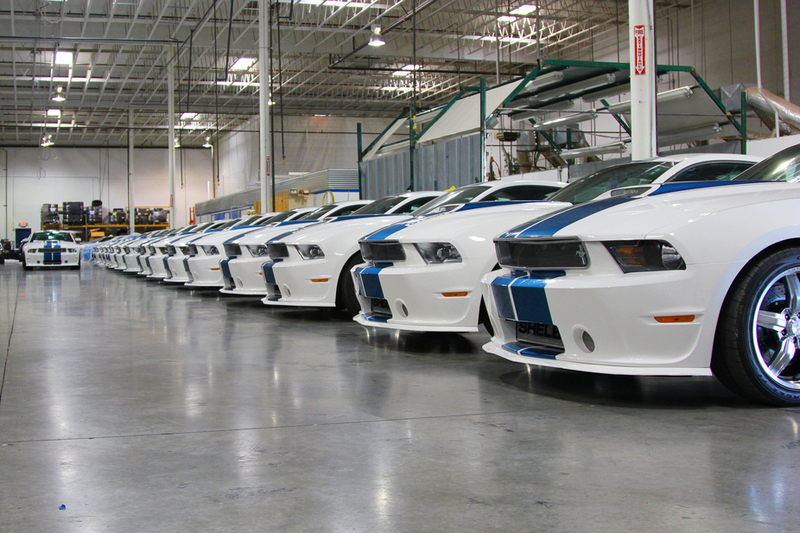 2015 Shelby Mustang is Coming From Las Vegas Shelby Plant! 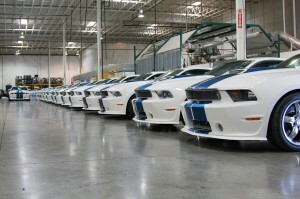 There has been confirmation of a post-title 2015 Shelby Mustang coming from the Shelby American Plant! There has been non-stop gossip surrounding the S550 Mustang and what special edition Mustangs will be offered. Saleen showed off their S302 Mustang design, Roush has been releasing pictures of the 2015 Roush Mustang, and Ford has been spotted testing their new Shelby GT350 on the street and on the track. We have now learned of Shelby American offering a post-title 2015 Shelby Mustang. On the teamshelby.com forum, a forum member who is known to be an employee of Shelby American commented on a thread saying, “We are in development on a Las Vegas built ’15 Shelby Mustang.” The same forum member commented again saying that this will be a post-title option from Ford, but that they are working on it now. They are also getting the engine assembly line up and working again so order numbers will be low in the beginning. What is a Post-Title Vehicle? A post-title vehicle is a vehicle that has already been manufactured and sold by the dealer to a private party. The private party then takes that vehicle to a third party manufacturer to be modified into a new vehicle package. The Shelby 1000 is an example of a post-title vehicle as it was a Shelby GT500 bought from a Ford Dealership and then upgraded/modified by Shelby American to become a Shelby 1000. As of right now there is a lot of unclear information floating around and information that has yet to even be filled in. However, going off what we do know and what Shelby American has done in the past, we can get a grasp on where they are going in the future. When Shelby American offered the GT350 back in 2012 as a post-title option, they went with a boosted coyote motor. A Ford Racing/Whipple blower attached a-top of the 5.0 coyote engine pushed out a very conservative 525 RWHP. Seeing as how this post-title Shelby is similar to the last generation’s GT350, it stands to reason that they will follow the same formula: take what is already there and make it better. Shelby American has applied this same formula to their other post-title vehicles as well, such as the Shelby Super Snake and the Shelby 1000. When talking Shelby variants, we can not ignore the elephant in the room. Ford is offering their factory Shelby GT350 with a 5.2L Voodoo engine, which begs the question if Shelby American will use the same engine. In one of the comments on Team Shelby, the Shelby American insider commented that people interested in their post-title S550 Mustang should wait until they have details finalized because they will only be upgrading specific Mustangs with specific options. This draws into question if the normal GT will be available for upgrade from Shelby American. With only specific vehicles/trims available for upgrade, this could mean that they will only be upgrading vehicles like the GT350, similar to what they did with upgrading Shelby GT500’s to Shelby Super Snakes/Shelby 1000. As of right now, we are waiting on the debut of a 2015/2016 Shelby American Mustang. The first 2015’s have already shipped and are beginning to end up in drive ways around the world. Aftermarket modifiers such as Roush and Saleen have begun taking orders for their vehicles, but have yet to release anything yet. With Shelby American pushing for a 2015/2016 option we should be seeing something soon. Check back frequently as we will be reporting on this as updates come out. What do you think of a 2015 Shelby Mustang post-title option? What engine would you like to see make its way into it? Previous Entry HOT NEW 2015 Mustang Parts from JLT Performance! The Shelby 1000 is an example of a post-title vehicle as it was a Shelby GT500 bought from a Ford Dealership and then upgraded/modified by Shelby American to become a Shelby 1000.